The Office of the Director of Public Prosecutions (DPP) continues its growth and rebuilding efforts, pursuing all avenues to advance training for its staff, as the Office seeks to provide the best service to the Jamaican people, facilitating faster disposal of cases, thereby maintaining confidence in the justice system. In a JIS News interview, Senior Deputy Director of Public Prosecutions, David Fraser says that in seeking to dispose of cases more quickly, the Office has placed much emphasis on the training of staff. “We are aggressively seeking to train staff so that they will be able to gain the necessary experience in as short a time as possible. We are seeking to get the rulings out to the public in a quicker time, because this has been of some concern to the public,” he adds. He cited the recently formed Caribbean Association of Prosecutors, from which local prosecutors have benefited through various regional training. While some of the training programmes have been broad-based, others have been specialized, for example in the area of money-laundering prosecutions, which have been spearheaded by the Caribbean Anti Money Laundering Programme. “We have also done a number of collaborations with the United States Department of Justice and other foreign partners. 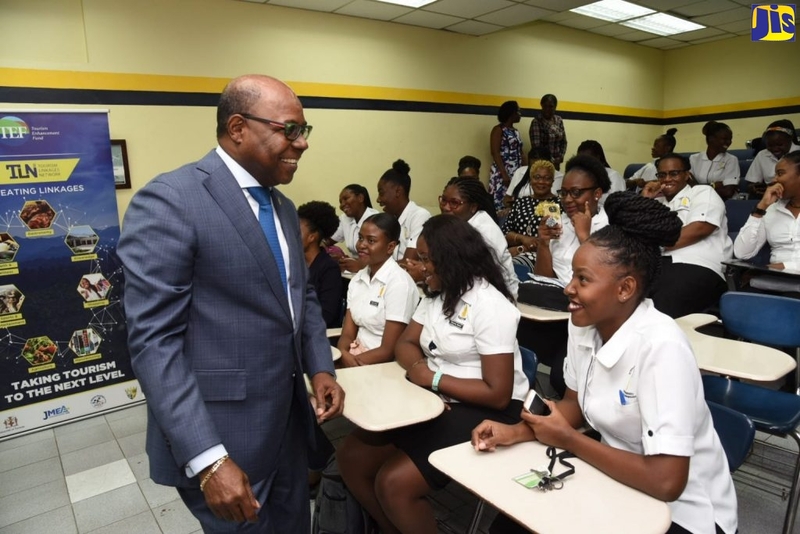 Training is something that is critical and is on-going and we are seeking to pursue all avenues to expose our staff to the best legal training, so they can deliver the best service to the Jamaican people,” Mr. Fraser tells JIS News. On the matter of organized and more “sophisticated” crimes, he concedes that these have made the work of investigators and prosecutors more challenging, because “the criminal scheme, especially those having to do with fraud and financial crimes, become more elaborate and more difficult to unravel. The paper trails become longer and more sophisticated”. In the face of this, Mr. Fraser points out that specialized investigative agencies such as the Financial Investigative Division and the Organized Crime Investigation Division have stepped up their game and the Office of the DPP works very closely with these agencies, as they seek to investigate crimes. “For us to prosecute, it obviously takes more time to appreciate the schemes that are used and the issues involved, and it takes a lot more preparation time as well to see how best to actually represent the case,” he says, adding that this was why training is so important for prosecutors. Mr. Fraser points out that as with the majority of the public sector, the Office is experiencing renewal and growth. “The Office has changed and is changing and needs to continue, in response to the needs and demands of the legal profession in the country. Over time, we intend to increasingly modernize our operations, so that we can give the service to the Jamaica people that is deserved in a shorter time and also help to maintain confidence in the justice system,” he adds. Mr. Fraser explains that the Office of the DPP is responsible for direct public prosecutions in the island and that under Section 94 of the Constitution, “the Director has the power to initiate prosecutions, that is other than matters under military laws, such as court marshalls, and can also take over prosecutions, which have been started by some other person or authority, for example the Police, who normally lay charges against persons or even private citizens who take out a private prosecution”. Also, the Director has the power to discontinue any prosecution, whether one that he has initiated or one that has been initiated by some other person. Once the case has not reached the state of judgement, Mr. Fraser explains that “he can enter what is called a nolle prosequi, which concludes the proceedings”. A nolle prosequi is a declaration that the plaintiff in a civil case or the prosecutor in a criminal case will drop prosecution of all or part of a suit or indictment. “If the DPP has information that perhaps a prosecution has been maliciously started without appropriate evidence and there is obviously hardship being created for the defendant, then the Director may well step in and discontinue those proceedings,” he points out. “It might be a situation where the Director believes that an important matter started by someone else needs more senior experienced prosecutors to deal with the matter, then he would take over those prosecutions as well,” he adds. As it relates to discontinuation of cases, there are several factors, which may cause the Director to go this route. This could occur, for example, in the event of further investigations having revealed that the individual before the court is innocent. Also, there may be difficulty evidentially or some other factor, which warrants halting the proceedings. Mr. Fraser notes that difficulty in presenting evidence may not always be a basis for discontinuing, as the Evidence Act now allows cases to proceed in the absence of witnesses, provided the appropriate provisions are made. He cites other functions of the Office, to include writing legal opinions to advise government departments on various matters, which concern criminal offences, and ruling on files submitted by the Police. “The public is very accustomed to hearing a ruling from the DPP in a particular matter. For example, in police shootings or in other matters where crimes or alleged crimes are committed by civilians, the file is referred to the DPP’s office for ruling as to whether or not criminal proceedings should follow,” he tells JIS News. “The Office also works very closely with the Police and gives advise to them and members of the public. We also appear in extra judicial matters where citizens have committed offences overseas and are wanted abroad, whether Jamaican or foreign nationals, once they are on Jamaican soil,” he adds. In addition, the Office provides what is termed “mutual assistance” in criminal matters where it assists foreign states, which “need evidence that resides in Jamaica. either in terms of providing public documents, serving subpoena, executing search warrants, and seizing assets if necessary,” Mr. Fraser informs. This is a reciprocal arrangement whereby, whichever country Jamaica assists, provides similar support and assistance when it is needed. “We also do quite a bit of public education, speaking at different fora, outlining what our role and functions are. Whatever the endeavour, where an offence can be committed, we are involved,” Mr. Fraser says. These include Intellectual Property Rights (IPR), in respect of copyright breaches, and reviewing the decision of a coroner’s jury, which he notes are some of the things that the public is not necessarily aware that the Office is involved in. Elaborating on the Coroner’s Act, which was recently amended in a move to minimize delays in the procedures for coroners’ inquests, and further enhance the overall administration of justice, Mr. Fraser says that “after the verdict has been given in a particular case, if the DPP believes that the decision needs to be reviewed, under Section 21 of the Act, the DPP can apply to the Supreme Court to have that decision reviewed and if necessary, move the court to order that a new inquest be held”. The amendment to this section of the Act has allowed other “interested parties” to apply to the court if they are aggrieved in respect of the decision of the coroner, he says. Interested parties, as outlined by the legislation, include parents, children or spouses of the deceased, or if none of these exist, the deceased’s nearest next of kin. It also includes, Mr. Fraser adds, “the personal representative of the deceased, any beneficiary under an insurance policy on the life of the deceased, the insurer who issued the policy, any one who the coroner found may have actually caused the death of the person, and in fact any employee or agent of such a person”. Further, it includes any person appointed by a trade union to which the deceased may have been a member at the time of death, if the death might have been caused in the course of his or her employment. “It also includes any person appointed by a government department, the Commissioner of Police and any other person who in the opinion of the coroner is properly interested in the matter,” Mr. Fraser says. “So it has widened the scope of persons who can approach the courts to have the decision of the coroner reviewed. We think that it is very useful, because it lends itself to persons being able to access the courts. The changes were given fairly wide publicity while it was being debated in Parliament and it’s a change which several of the interest groups have been advocating for, for some time,” he points out. Meanwhile, during the 2004/05 fiscal year, some 569 jury cases were disposed of. This represents just under 50 per cent of the total number of jury cases on the books, which was 1,293. The number of cases listed for the upcoming Circuit in terms of jury matters has not yet been calculated, he notes. However, some 279 cases have been traversed (carried over from one term to the next) from the last sitting of the Easter term. Due to the fact that there are several new cases that have not yet been fully accounted for, this figure is expected to increase considerably before the new term begins. 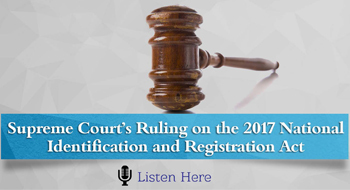 One of the key strategies that have been employed in recent years to dispose of more cases is the extension of Circuit Courts. “The Circuit system means that for a particular period each term, the court will sit in a particular parish. There is the Home Circuit Court, which sits continuously in four criminal courts, but in the other parishes, we have sittings for three weeks at a time and that’s the Circuit for that term,” Mr. Fraser explains. He says that what has been happening in recent years is that “there have been extensions for several Circuits, sometimes actually to run for the entire term, as will happen in the case of St. Elizabeth in the upcoming term”. There have been extensions in other Circuits in terms of the addition of weeks. For example, Manchester, which normally has a three-week Circuit, will have five weeks in the upcoming term. Summer sittings have also been instituted in an effort to deplete the backlog of cases. “We are also looking at trying to use the Evidence Act, which allows for the use of statements rather than witnesses coming to court, where the evidence that the witness has to give is non contentious. That does save some time,” Mr. Fraser tells JIS News. He says the Office is also exploring ways to seek to reduce the number of issues that have to be dealt with during trial, and perhaps pre-trial hearings. This is being spearheaded by Chief Justice, Lensley Wolfe and is expected to bring a satisfactory level of case management in criminal matters. “When that comes on stream, that might well reduce the court time. Strategies are in place, and further strategies are being considered. It is something that we have on the front burner, because justice delayed is really justice denied,” the Senior Deputy Director emphasizes. He discloses that the bulk of criminal cases come from Kingston and St. Andrew, with the Hilary term (January to March), recording 161 cases for Kingston.To ease the work-load and to have cases dealt with more promptly in the Supreme Court and the Resident Magistrate’s Court, there are provisions for cases to be referred for dispute resolution, in appropriate circumstances. “There has been some success with matters being amicably resolved this way and persons being given strategies to deal with conflicts in the future. The advantage of dispute resolution is that apart from reducing the backlog in the courts, it also prevents people from ending up with criminal records and ultimately helps persons to learn better how to live in harmony, which will ultimately reduce crime,” Mr. Fraser asserts.